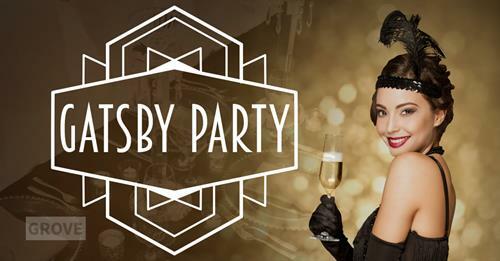 Event Details: The GROVE parties like Great Gatsby with a snazzy 1920s inspired soiree! Enjoy a five-course wine pairing menu while being transported back in time to the Jazz Age with musical performances by American Idol star Mylon Shamble & Jac of all trades Jonathan A. Cortez! Luxuriate in the romance, the opulence and the thrill of the decade of decadence this Valentine's Day. Spots are limited, reservations are required. Book your table today!